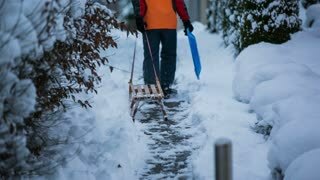 Person walk with sleds in snowy path. 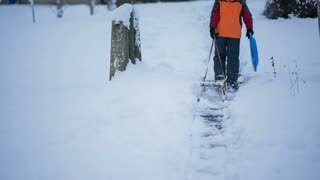 Boy going at the near hill to drive with wooden sleds and plastic sleigh shovel. ICE CAMP "BARNEO", NORTH POLE, ARCTIC - APRIL 10, 2015: Members of polar expedition go skiing to the North Pole. Mother daughter sled riding bottom of hill. Family winter fun snow sled mountain road. Winter fun, recreation and sport of family and friends riding antique style sleds down a icy and snow covered rural mountain road. Cold frozen thrill ride. Winter fun recreation family on snow sleds. Family winter fun snow sled mountain road. Winter fun, recreation and sport of family and friends riding antique style sleds down a icy and snow covered rural mountain road. Winter recreation follow female on snow ice sled. Family winter fun snow sled mountain road. Winter fun, recreation and sport of family and friends riding antique style sleds down a icy and snow covered rural mountain road. Family mother and kids on sled snow rural road. Family winter fun snow sled mountain road. Winter fun, recreation and sport of family and friends riding antique style sleds down a icy and snow covered rural mountain road. 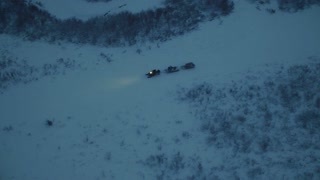 Father son winter recreation sled riding rural road. Winter fun, recreation and sport of family and friends riding antique style sleds down a icy and snow covered rural mountain road. Don Despain of Rekindle Photo. Mother kids winter recreation sled ride rural road winter. Daughter and grandchildren. Winter fun, recreation and sport of family and friends riding antique style sleds down a icy and snow covered rural mountain road. Cold frozen thrill ride.